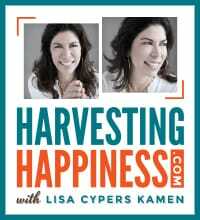 This is a reposting of Lisa Cypers Kamen’s blog that first appeared in the Huffington Post on 9/19/2012. Veterans returning from war can breathe a sigh of relief that the immediate, daily dangers of combat are behind them. But long after they step off the battlefield, our country’s warriors continue to fight a silent war that leaves invisible wounds just as painful as the physical ones endured during combat. Meet the emotional Improvised Explosive Device (IED) known as Post-Traumatic Stress Disorder (PTSD). Although many of our veterans endure the fallout of this silent bomb on a daily basis, most of us would hardly be able to recognize it. Given that as many as one-third of returning Iraq War veterans are battling PTSD or depression as you read this post, it’s time to clear up the widespread misunderstanding about what this stress disorder is and what it is not. First, what it isn’t: PTSD is not a fabricated condition, and it’s not a bout of the blues that can be worked out in a counseling session or two. Further, it’s not a disorder that only affects veterans who have seen the worst of the worst. PTSD is prevalent, painful and persistent. 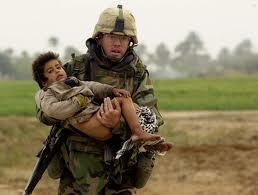 PTSD is an IED planted in the landscape of our veterans’ hearts and minds, triggering harm without a moment’s warning. Just as an IED destroys everything within a few miles’ radius, PTSD affects all aspects of a veteran’s life, often taking family and friends as extended casualties of this silent, invisible war. When the aggressor is PTSD, little escapes undamaged, whether we can see it or not. If we can’t see PTSD, then how can we identify it? Understanding how it affects our veterans is a good starting point. The re-experiencing symptoms of PTSD are probably what you’ve heard of before: flashbacks and vivid nightmares of horrific war scenes, which can be triggered by even the smallest reminder of the atrocities of battle. PTSD also spurs avoidance symptoms, which cause a warrior to stay away from places, events or objects that remind him or her of painful experiences. The avoidance and re-experiencing aspects cause serious emotional issues that plague our veterans as they struggle to transition into civilian life: guilt, depression, emotional numbness, constant fear, and overwhelming tension that can make tasks as simple as eating and sleeping incredibly difficult. The first step in combating PTSD is to raise awareness about this crucial issue affecting our veterans. 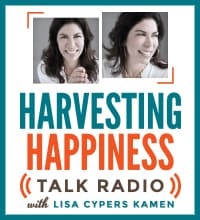 Harvesting Happiness 4 Heroes carries out that mission everyday by offering free, stigma-free comprehensive services for returning warriors and their families, and by educating the public on the true costs of PTSD. It’s a battle we should all be fighting alongside our veterans. Nothing gives happiness like a FREE GIFT!